Rogue has been pushing the limits when it comes to the flavors of beer for many years. One of their most popular series is their Voodoo beers, combining the famous doughnut flavors with an alcoholic twist. While all these beers are amazing, the one style we are focused on this month is stouts. In honor of national stout month, we are making Rogue’s Double Chocolate Stout featured beer of the week. 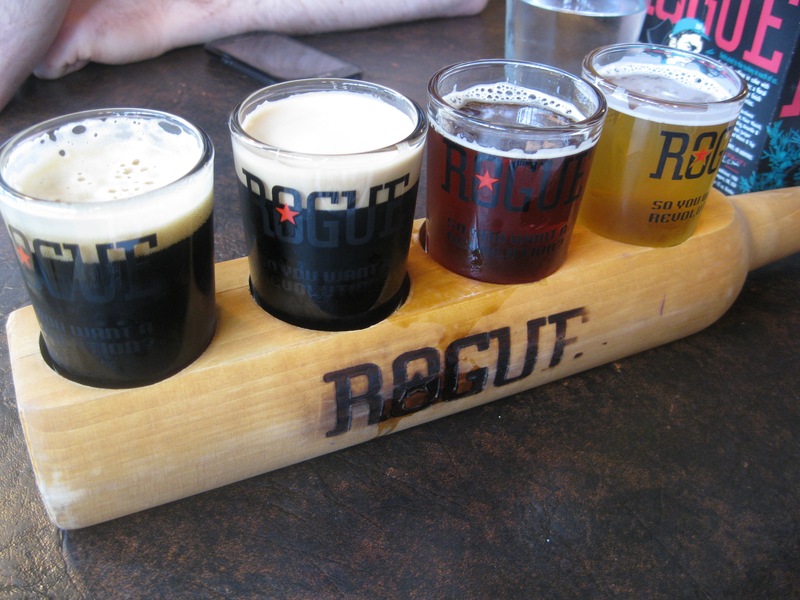 Beginning in the basement of an Ashland, Oregon building, Rogue set out to start a revolution in the beer industry. Constantly pushing the limits of flavor pairings and tastes, Rogue brews will cover flavors from across the spectrum. No matter if you are in the mood for something sweet, hoppy, smooth or spicy, Rogue got you covered. They are even known to take their own beers to the next level as with the case of Double Chocolate Stout. Evolving from the Rogue Chocolate Stout, they advertise the double contains twice the amount of ingredients with the same amount of water. Now, what does that exactly mean? The Double Chocolate Stout will contain a higher concentration of flavoring and chocolate notes and because there will be twice the amount of ingredients and less water to balance it out, the alcohol content will be greater. The Rogue Chocolate Stout contains a 5.8 ABV percentage and the Double contains an 8.7 percent ABV. The main ingredient, Dutch bittersweet chocolate, shines through the brew. Winner of three World Beer Championship Gold Medals, this stout is one you definitely want to try. Double Chocolate Stout pairs best with desserts and cuts of beef, the perfect substitute for red wine during dinner. Make sure to try out each flavor of Rogue while you are on your pub crawl of Downtown Las Vegas. Contact Vegas Pub Crawler to book your tour of all the bars in DTLV today.